Skin Peels address the problems of wrinkles, uneven pigmentation, blemishes, and acne scarring in men and women. The PCA skin care line is used. 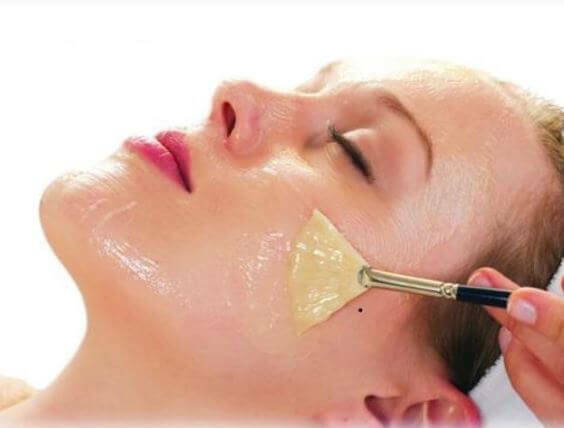 Chemical peels address the problems of wrinkles, sun damage, uneven pigmentation, blemishes, acne scarring, and many other problems that cause our skin to look older than it is. Chemical peels are able to treat problem areas on the face as well as on the arms, legs, back, chest, and anywhere on the body. We provide customized PCA Skin peels for the face and body in various strengths, tailored to your individual needs. A few weeks before your procedure, it is helpful to prep your skin by cleansing and moisturizing it twice daily. You should book a consultation with your specialist to determine your precise skin care regiment prior to your peel. Immediately after a chemical peel procedure, your skin may feel tight or sunburned. Cleansing, moisturizing, and sunscreen are highly recommended after a chemical peel. It is also important to avoid sun exposure during the early healing period. BE SURE not to peel off any skin as this may lead to scarring. Side effects for chemical peels are rare and mild, especially when in the right hands. After a treatment you may notice slight redness for up to 24 hours. Dry, flaky skin or light crusting may last up to 4 or 5 days after peel. It is recommended that you do a series of 4-6 peels every 2-4 weeks. Results are cumulative so the more frequently you go, the better the results. This is with the exception of the deep peel.